← An innocent man. A quest for revenge. A love so strong. 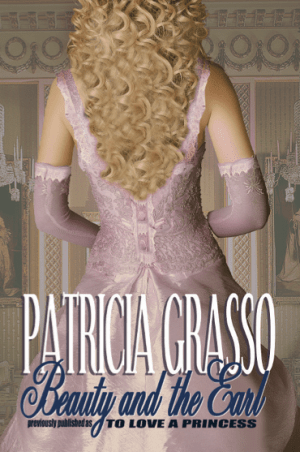 Historical Romance author Patricia Grasso has a BA and MA in English and taught high school for thirty years. So when it comes to writing, she knows her stuff. School’s in session. Listen up students! Remember your junior high school English class? The subject of the sentence is the most important word because it is what or whom you are talking about. The verb is secondary in importance because it says something about the subject. The same rule applies to storytelling. Characterization is the most important element. Plot is the engine that sends your characters on their journey through the story. You should start from the general and go to the specific. 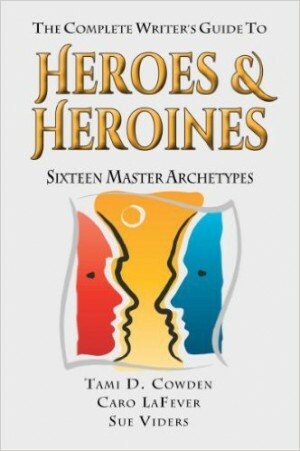 THE COMPLETE WRITER’S GUIDE TO HEROES AND HEROINES (Cowden, LaFever, Viders) gives an overview of sixteen archetypes. Once you have a general idea of the type of character you want, the next step is getting specific. 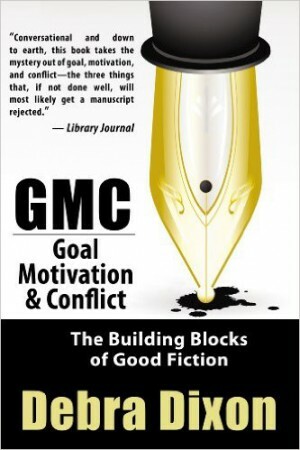 Two excellent books are CREATING UNFORGETTABLE CHARACTERS (Linda Seger) and GOAL, MOTIVATION, CONFLICT (Debra Dixon). Seger’s book deals with defining your character, consistencies and paradoxes, creating back story, understanding character psychology, creating character relationships, writing dialogue. Dixon’s book deals with your character’s goal, motivation (the reasons why he/she must reach that goal), and conflict (both internal and external). Obstacles preventing your character reaching his/her goal creates conflict. Plot is the skeleton of the story. Dixon’s book can be used here because characters drive plot. 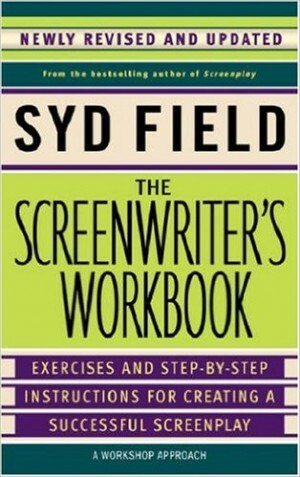 The most helpful book I’ve found on structuring a book is THE SCREENWRITER’S WORKBOOK (Syd Field). Field discusses the story set up, plot points, pinches, climax, and resolution. He uses examples from famous movies. Make yourself a master of the technical—grammar, spelling, punctuation. Editors love clean manuscripts, less work for them. Do NOT rely on grammar or spell check. The best computer is your brain. Do not rely on copyeditors. Chances are you know as much or more than they do. YOUR name is on the book, not theirs. Getting published requires talent, luck, and persistence. You know the old saying: Winners never quit and quitters never win. You will feel professional jealousy at one time or another. That’s a normal human emotion. Feel it. Let it go. Forget about it. Finish writing your damn book. Don’t pay too much attention to reviews. You’re never as good as your best review or as bad as your worst review. Expect setbacks and rejections. Develop a thick skin (easier said than done) because everyone is a critic. NEVER, NEVER, NEVER google your own name!!! 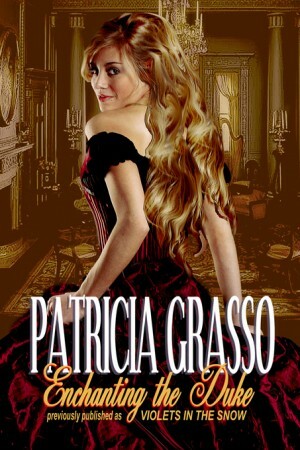 Patricia Grasso is the author of eighteen historical romances including the Douglas Series which follows the love stories of the amazing Douglas sisters (Angelica, Samantha and Victoria) in Regency London and the Lords of Stratford Series, Regency historical romances with a fairy-tale twist about the aristocratic families in Stratford-on-Avon. GET IT FOR .99 CENTS RIGHT HERE AT LACHESIS PUBLISHING. THIS WEEK ONLY. You can also buy it on amazon, kobo, and Barnes and Noble. Patricia Grasso‘s latest release is Enchanting the Duke. You can purchase it at Lachesis Publishing or on amazon, BN nook, or kobo.